I was asked to write a piece about my PhD supervisor Godfrey Hewitt for the UK Genetics Society magazine, and have reproduced a version here. I’d been putting off writing about Godfrey since he died in February, making excuses to myself, so a big thank you to the editor Manuela Marescotti for prompting me to just sit down to type. 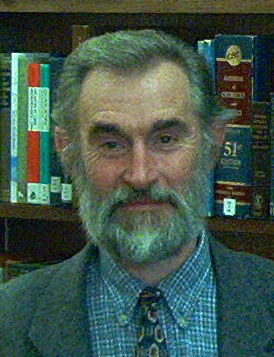 Godfrey Hewitt was an outstanding researcher, mentor, teacher, and professor of evolutionary biology at the University of East Anglia. Godfrey was an excellent geneticist who championed the field and promoted the incorporation of molecular genetics into diverse biological fields throughout his distinguished career. A probably incomplete list of the disciplines in which he applied evolutionary genetics might include speciation, phylogeography, hybridization, phylogenetics, molecular evolution, cytology, ancient DNA, conservation, pest biology, animal domestication, island biogeography, population genetics and molecular ecology. It is hard to overstate how influential Godfrey was in several of these areas. He is very highly cited, making him by some metrics one of the world’s most influential ‘ecologists’, received many awards, and had several conferences organized in his honour. Perhaps more importantly though, along with his many collaborators, he synthesized a change in scientific worldview for those working in the areas phylogeography, speciation and Quaternary biology. Born in Worcester, and always proudly associating with the city, Godfrey chose in the late 1950s to become an undergraduate at the University of Birmingham. This decision was made largely due to the department’s expertise in genetics, and Godfrey later carried out his PhD research there with Kenneth Mather, John Jinks and Bernard John. It was genetics that he initially identified as both personally fascinating and of increasing importance in biology, a view that he maintained throughout his career and which would be hard for anyone to argue with today. Something he proudly recognized, and often mentioned, was the academic rigour of genetics-based science compared to some other disciplines in biology, and scientific rigour was an important component of his own research. Godfrey was far from a one-dimensional character, and conversations with him about literally almost anything would soon appear and then spiral into completely different and fascinating directions. This was sometimes disconcerting, especially for students first meeting him at conferences, as although he was always very friendly you were quickly far from the topics on which you might have rehearsed speaking to the great man. In addition to a broad scientific knowledge, history, geography, human civilizations, current affairs and sport would all be topics for strong, sparky, and often provocative views. In conversation on many science topics I often found myself wondering, slightly bemused, how on earth he knew anything about this specific and obscure area. He often didn’t, but as with all great scientists he could incisively follow the logic (or lack of it) of an argument without prior knowledge. This excellent foundation of logic and scientific rigour was something that he imparted to the very many scientists who passed through his lab. As a PhD student in Godfrey’s group I learned to think like a scientist, and although there are many things I owe him, this is perhaps the most valuable. Godfrey Hewitt was one of the most intelligent people that I have ever met. This may surprise some who have spoken with him, as his bonhomie and down to earth common sense were a million miles away from the quirky boffin-like ‘intelligence’ with which the popular media caricaturizes outstanding scientists. Godfrey though was not for intellectual showmanship, he was for getting things done, and the ability to get truly important and complex problems solved is as good a definition of intelligence as I have found. This was Godfrey’s real talent. He could see the wood for the trees, the wood in all its beautiful complexity, the patterns by which the wood had come to have its position, composition and structure, and the relevance of this for other biological systems. He was interested in, but did not obsess over, small areas of methodological or theoretical advance, preferring instead to collaborate productively with those who were experts. This approach and vision was the basis for many of the significant advances that he synthesized. Godfrey worked extensively with the journal Molecular Ecology, including a period as senior editor. Colleagues speak of the huge amount of time he freely gave, not only reflected in the handling of prodigious numbers of manuscripts but also in the advice and discussion with authors. His generosity with his time was a central part of his character, and extended outside of journal activities being equally given in person to those who approached him at meetings, came to his lab, or just happened to work in the same building. Much has been written in tribute about his exceptional mentorship of students and postdocs, for which he won a Nature lifetime achievement award. He gave personal support and scientific mentorship naturally and spontaneously, which is a topic frequently returned to by those who worked with him. It is not contradictory to say that although almost all remember Godfrey fondly he could also be very tough. He did not tolerate foolishness, selfishness, or inactivity, and would be very direct with those who disappointed him. This toughness has left a positive mark, still subconsciously setting the bar very high for many of his students and postdocs, even though their enduring memory may still be his fatherly support. Very many of his former lab members have themselves gone on to academic positions worldwide and his scientific genealogy is truly impressive. Godfrey died in February 2013 after a stubborn battle with cancer that had lasted for a number of years. He will be remembered by most for his exceptional scientific legacy although this impressive body of work will be eclipsed by his generous humanity for those who knew him.